Cultural geography and the social sciences have seen a rise in the use of creative methods with which to understand and represent everyday life and place. Conversely, many artists are producing work that centres on ideas of place and space and utilising empirical research methods that have a resonance with geographers. This book contributes to the body of literature emerging from such creative approaches to place. Drawing together theory and practice from cultural geography, anthropology and graphic design, this book proposes an interdisciplinary geo/graphic process for interrogating and re/presenting everyday life and place. A diverse set of research projects highlights participatory and autoethnographic approaches to the research. The sites of the projects are varied, encompassing the commercial space of grocery shops, cafés and restaurants, the private, domestic space of the home, and a Scottish World Heritage site. The theoretical context of each project highlights the transferability of the geo/graphic process, with place being variously framed within discussions of food, multi-culturalism and belonging; home, collecting and meaningful possessions; and, materiality, memory and affect. Themes in the book will appeal to researchers working in the creative methods field. 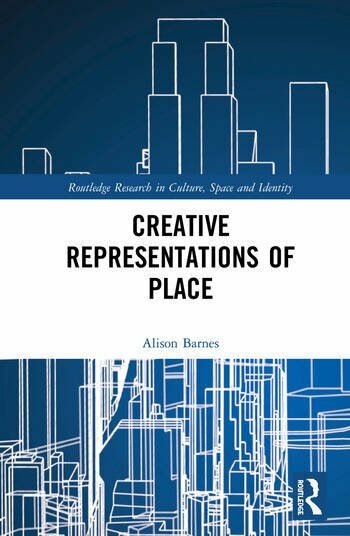 This book will also be essential supplementary reading for postgraduate students studying Cultural Geography, Experimental Geographies, Visual Anthropology, Art and Design. Alison Barnes is a senior lecturer at London College of Communication, University of the Arts London. Her practice-led research draws from both graphic design and cultural geography and centers on the understanding and representation of everyday life and place.